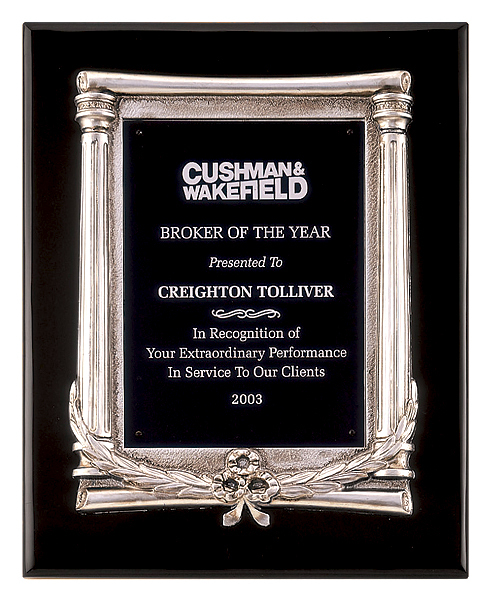 Black stained piano-finish plaque, antique silver finished frame casting with black aluminum engraving plate. 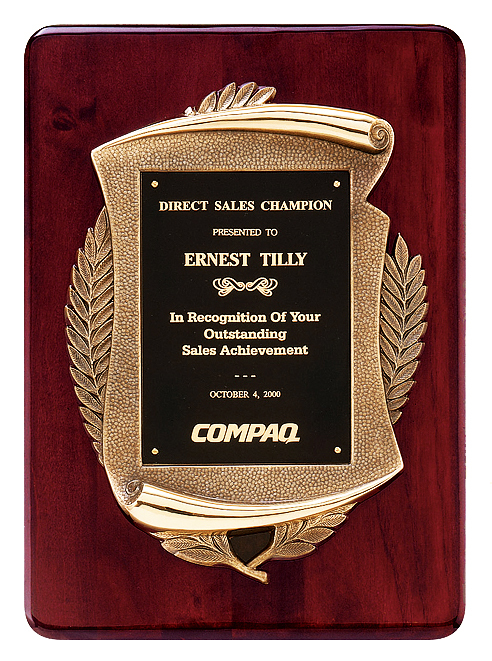 Size - 10 1/2" x 13"
Piano-finish plaque, antique bronze finished frame with black brass engraving plate. 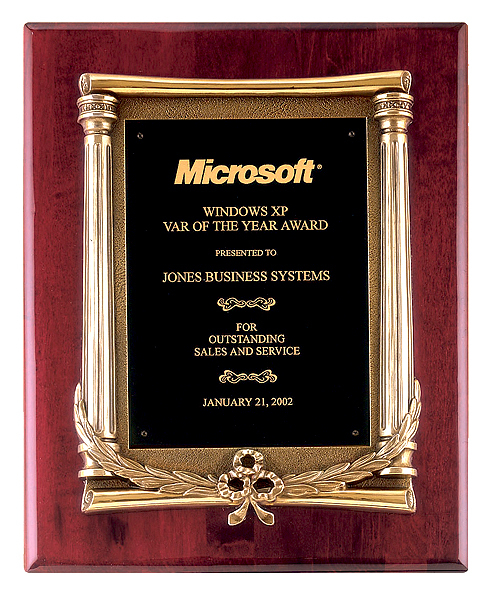 Antique bronze finished frame casting plaque. 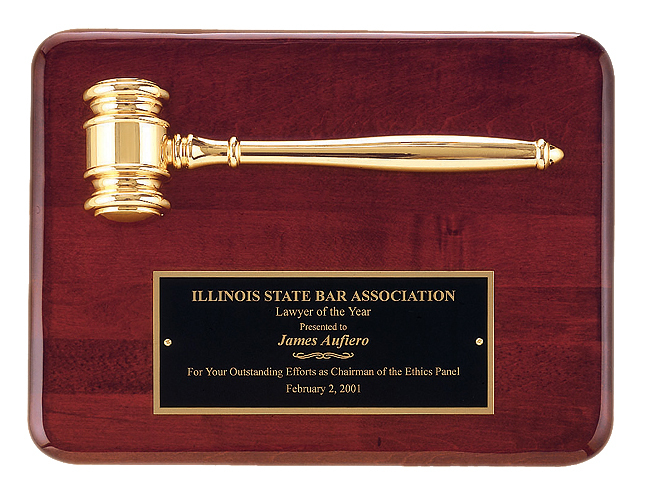 Metal gavel plaque, gold electroplate.